From Issue 18, we give you the Fort Victor CX bike, as reviewed by Andrew Yee. 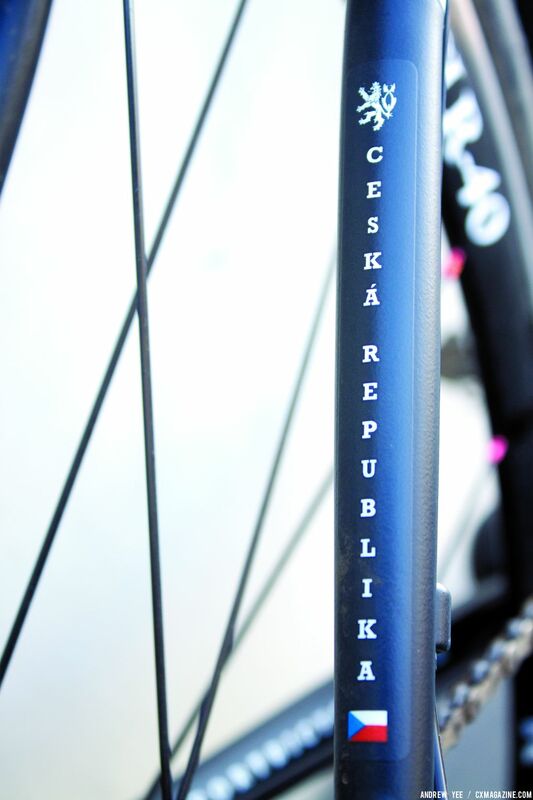 Anyone who regularly follows international cyclocross racing knows that the Czech Republic proudly claims some of the world’s fastest racers and biggest races, including both the 2010 World Championships and the World Champion that year, Zdenek Stybar, as well as hosting multiple World Cups and World Championships. The country’s position as a cyclocross powerhouse is not just a recent trend. The country (including the former Czechoslovakia) has long developed world championship contenders, and in the mid 80s, the USA even picked a Czech immigrant, Coach Miloš, to lead its young Worlds cyclocross team. 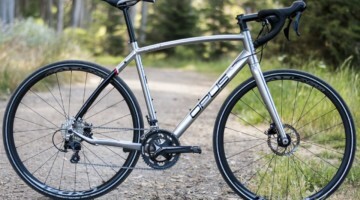 The country has a similarly deep history in building cyclocross bikes, and the Czech Republic’s Fort Bicycles has been hand-building bikes since 1992. Named after cyclocross star and World Championship bronze medalist Radovan Fort, the company has always remained dedicated to the sport of cyclocross. 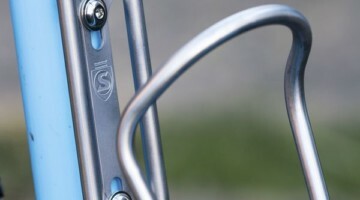 I bought a few Fort-built steel cyclocross forks a decade ago and was pleased with the craftsmanship. 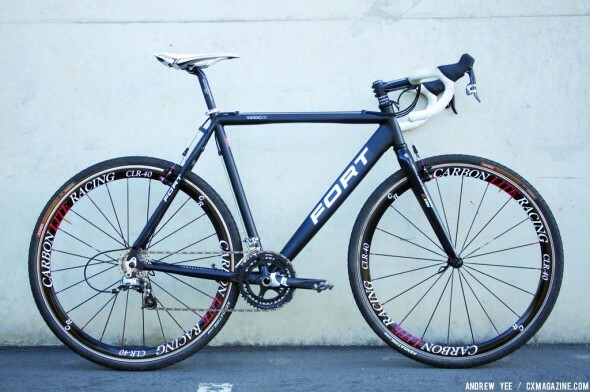 Fort seemingly fell of the radar briefly, but after a few ownership changes, a few moves across the country, and a little downtime, Fort Bicycles is back, and they’ve returned to cyclocross racing with the Victor CX. 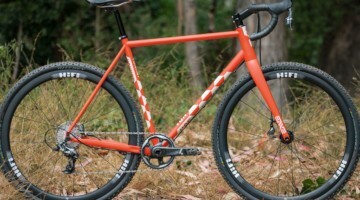 A hand-built frame from an Old World company with a long history in cyclocross wouldn’t feel authentic if it had space-age materials and adopted all of the latest bottom bracket, head tube and brake trends. And so, we were relieved when we received a subdued matte black aluminum frame that kept a straight 1-1/8″ head tube, a standard diameter and width threaded bottom bracket, and traditional cantilever brakes. We couldn’t wait to test a traditionally built bike, modeled on the type of build that won many races in Europe and North America in previous years. Fort welds what it calls a proprietary T3 CYC aluminum double-butted tube set for the Victor CX frame. A semi-triangular down tube is mated to an otherwise mostly-round tube set, creating a traditional-looking no-nonsense cyclocross frame. Proof of the bike’s intentions? A flattened underside of the top tube and no bottle cage bosses or rack or fender mounts on our Victor CX model (although Fort says that they are an option). The Fort geometry is built to traditional cyclocross standards. Our 56cm model was built square, with a 56cm top tube. A 42.5cm chainstay length, 72.5 degree head tube, 73 degree seat tube, and a relatively high 58mm bottom bracket drop make the bike an agile steed. Without a chainstay bridge, there’s impressive clearance down by the bottom bracket, similar to the clearance offered by the Ritchey WCS fork. A nice modern touch is the company’s matte black satin powder coat finish. In typical off-road use, Fort’s finish proved durable. After several moves and owners in the last 20 years, Fort Bicycles has found a home in Fresno, California, home to miles of trails and a growing cyclocross scene. In outfitting the Victor CX, Fort has partnered with other Northern California companies to transform their frame into a race bike. Ritchey’s top-shelf WCS product line keeps the build weight low via a breathtaking light C260 stem, Evo Curve bars, 1-bolt seatpost, Streem saddle and straight-legged all-carbon WCS fork (reviewed in Issue 9). Although confusing in name, the Carbon Lite Racing wheels feature a 40mm aluminum rim and are quite light at 1499 grams (list). 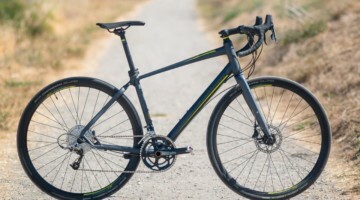 The wheels spin smoothly and remained true, and should provide decent mud-shedding capability and some aerodynamic benefits—if forced to do double duty on a road bike. 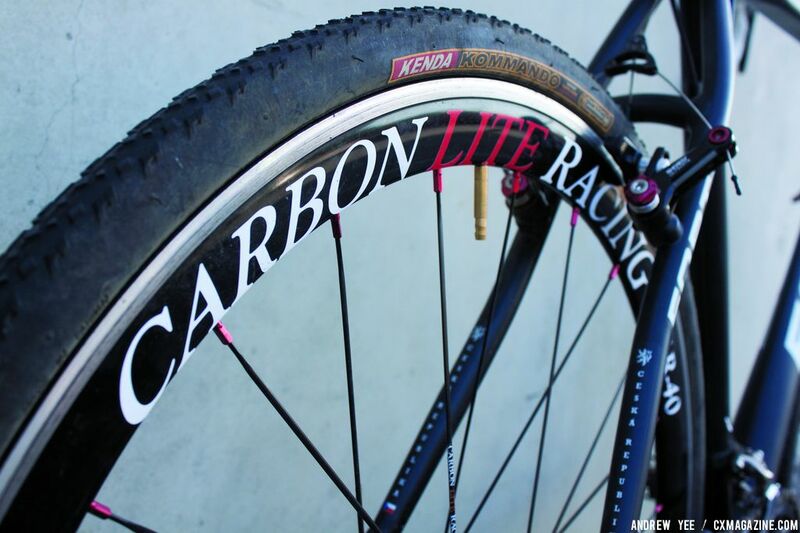 Kenda Kommando 700×32 tires provide the traction, but could be considered far too narrow for fast racing. Fort allows a customer to choose final sizes of components such as stems, bars, and rim depth, and while you’re settling on those sizes, make sure you size up to the 35c version of these tires. The race-worthy build was complemented by SRAM’s light workhorse Force group, including Force shifters, crankset, front and rear derailleur, chain and cassette. 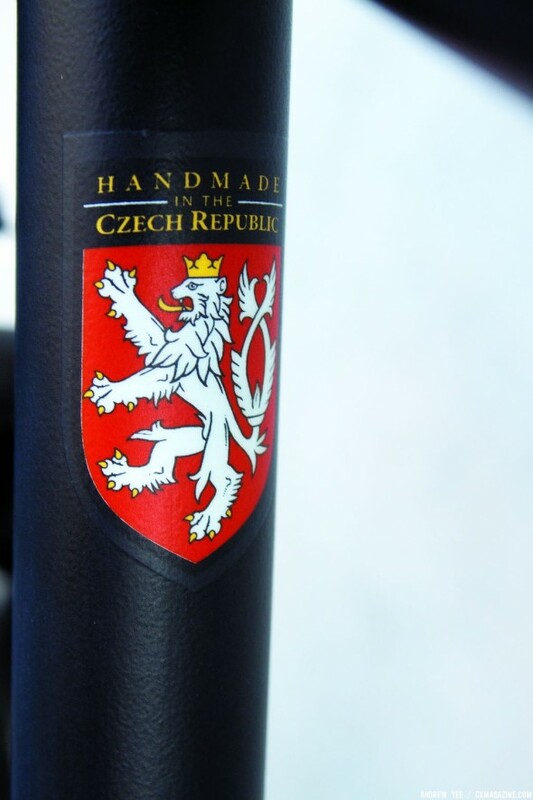 It’s an impressive, race-worthy spec that looks at home on a $2999 bike handmade European bike. With stiff competition at this price point by a slew of carbon fiber, Asian-built machines, would the Victor CX hold its own against more modern options? Jump on a traditional-looking, storied European cyclocross race bike, and it’s frankly hard to shut out some preconceived notions of how the bike would ride and the conditions that it would thrive in. I imagined piloting the bike on sloppy or frozen technical Czech courses lined with thousands of rabid fans, but in the middle of a California summer, I had to adjust my expectations and deal with the conditions presented to me: mostly loose, dry, hard terrain. Bummer. Perhaps it was for the better however, as on the cement-hard dirt of our local trails, the true character of the Fort Victor CX was easier to identify—and was quite surprising. 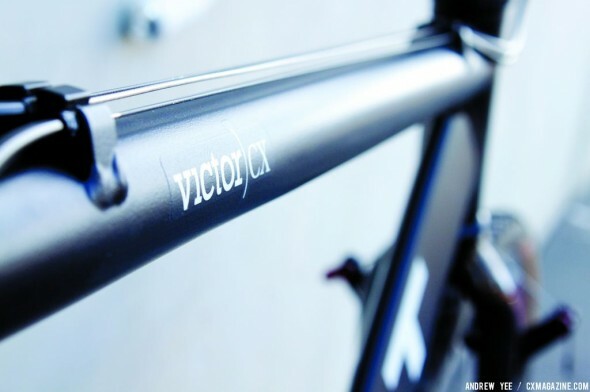 Modern day aluminum frames often have a reputation for being harsh-riding bikes, but the Victor CX, paired with the Ritchey WCS fork, feels quite lively. In sprints or on roads, it feels snappy, not muted or dead like some carbon bikes, but when the course gets rough, there’s more give to the front (thanks to the WCS Fork) and rear ends than many modern race bikes with oversized everything. “Trail-feel” aside, the bike really feels most at home at speed, and the more technical the better. With a steep head angle and higher bottom bracket, the Victor CX is a fast-steering ride that begs to be on a ’cross course or twisty trail…in true race conditions. 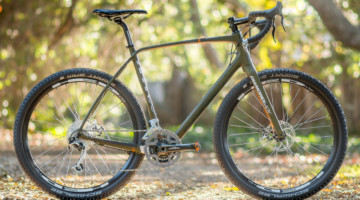 It’s at ease plodding along a dirt road or on pavement, but that’s not what the frame is designed for, and the higher center of gravity and quick steering lend themselves to high-speed dissecting of course tape or singletrack. Isn’t that what a cyclocross race bike should do? If you’re in the market for a cyclocross bike to primarily race on, and you prefer a traditional frame—namely—not a carbon bike from Asia, the Victor CX might be your winner. 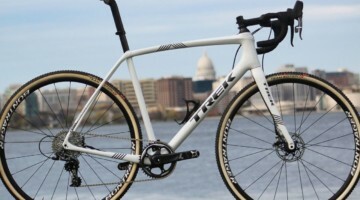 Cyclocross bikes have evolved quite a bit since frames like the Victor CX were developed. But even after sampling the new generation of carbon bikes, returning to a time-tested classic design and ride can be fun and further appreciated. 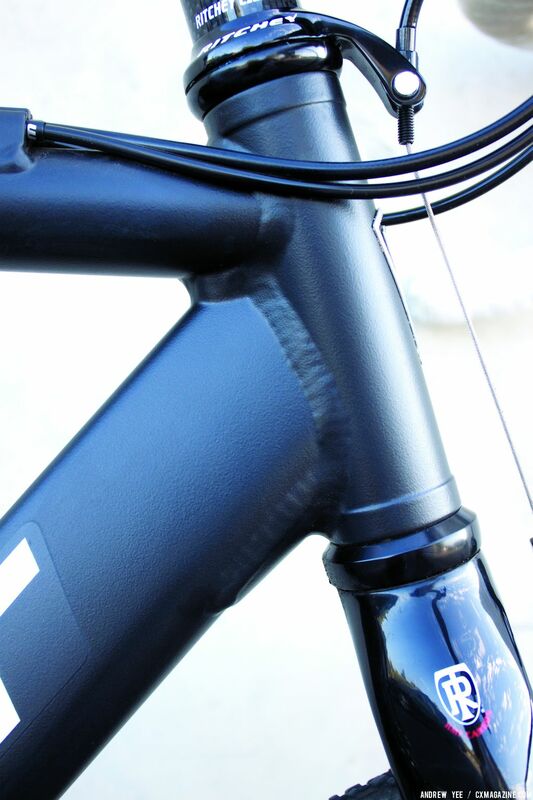 Fort brings modern componentry to a proven, race-winning, handsome frame. Classics aren’t for everyone to own, but almost everyone admires them. This season, do you want to admire, or be admired?